Porsche has launched the 911 GT3 RS 4.0, which will go on sale in July priced from £128,466. It’s fitted with a 500hp, 4.0-litre naturally aspirated engine, complete with parts from the GT3 RSR racing car. The engine is the biggest and most powerful naturally aspirated engine ever fitted to a 911. Only 600 will be made. 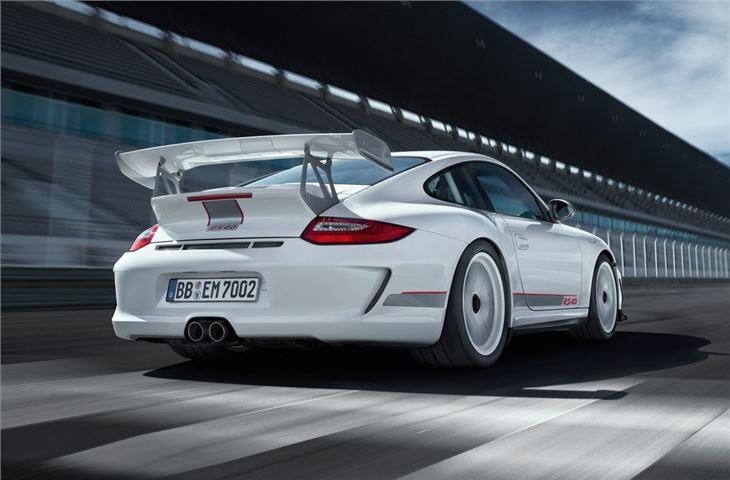 The lightweight GT3 RS 4.0 can get from 0-62mph in 3.9 seconds, and has lapped the Nurburgring-Nordschleife in 7:27 minutes. The six-speed manual transmission is designed for the race-track, and is geared for acceleration – it can hit 124mph in 12 seconds. The chassis has been revised to make the most of the extra power, with adjustments to the suspension, dampers, and additional ball-joints on the rear axle. Weight has been reduced, too, with plastic instead of glass used for the rear window, and carbon fibre body components. Overall the car’s weight is 1,360kg, meaning a power-to-weight ratio of 368 hp/tonne. The 911 GT3 RS 4.0 features a large rear wing, as well as ‘flics’ to deflect air at the front of the car, increasing downforce. This is their first appearance on a production Porsche. The bodywork is painted white as standard. 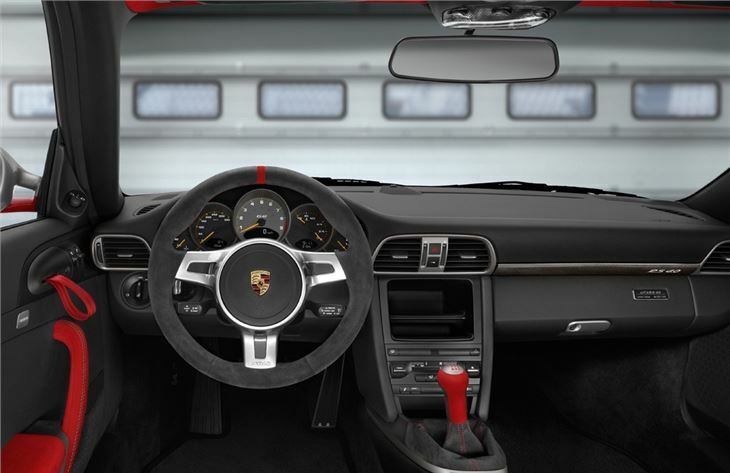 Black and red Alcantara seats with seat-belt harnesses and ‘RS 4.0’ logos, as well as a roll-cage, fire extinguisher and battery cut-off switch make the interior of the GT3 RS 4.0 feel like that of a fully-fledged racer. 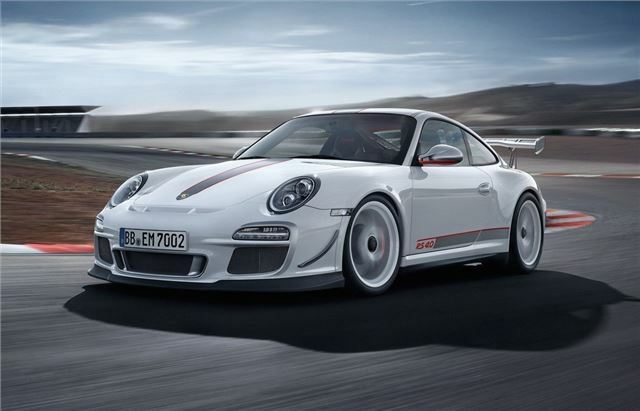 The 911 GT3 RS 4.0 goes on sale in July 2011 priced from £128,466. Only 600 will be available worldwide.